Happy Valentine’s Day! In reality it is just another day, but a day when we seek to show our love to those who have impacted our lives with love. It is a time when we share our hearts with those that have touched us with their love. Of course, for me this means that I give Vicki a card to let her know how thankful I am that God brought her into my life. She has been that inspiration for me when I needed it. She has shown me love when I didn’t deserve it. She just loves me and does those little things to show it. She is simply amazing! As I am writing this, she isn’t here. She has gone to River Road to be with Bryan and Charity. Well, kind of. 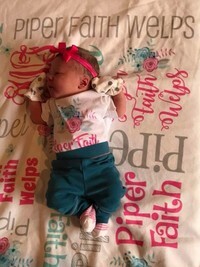 Truth is that on Saturday morning, February 10 at 7 am, Piper Faith Welps came into our lives. She was 7 lbs, 19 ¼ inches and absolutely beautiful! So Vicki arranged to go over and spend a couple of days to help with Piper. She just wanted that time with them to help do some of the little things so they could focus on Piper. Just like the other 11 grandkids, Piper will grow up knowing that Memaw will love her totally and completely. Piper will hear Memaw’s voice and come to know that her love is not something that will go away. It is a love that will grow as she grows. It will be a love that manifests itself in an outfit that is just perfect, a meal/snack that is totally delicious, or that hug that makes that ‘boo-boo’ not hurt so badly. Memaw doesn’t care if she gets a Valentine’s card from the grandkids. She just wants to know that when she walks into the room that they run up to her and give her a big hug. She will always do her best to be there for them, get them to be their best and show them the love of God. In that same way, God loves us, but He also loves us so much that He wants us to grow into the children He desires us to be. He comes to us to give us that ‘hug’ that lets us know that He is there with us and ready to help us grow. Yes, there will be those times when we get caught up in things that cause us to be less than what we need to be. It is at those times that He comes alongside of us to show us the way. He knows that things happen but He loves us through it all. It is at those times that He wants us to know that there are others who have walked a similar path. The writer of Hebrews said it this way – “Therefore, since we have so great a cloud of witnesses surrounding us, let us also lay aside every encumbrance, and the sin which so easily entangles us, and let us run with endurance the race that is set before us.” (Heb. 12:1). For Piper there are the 11 other grandkids that have walked the path she is beginning at this time. 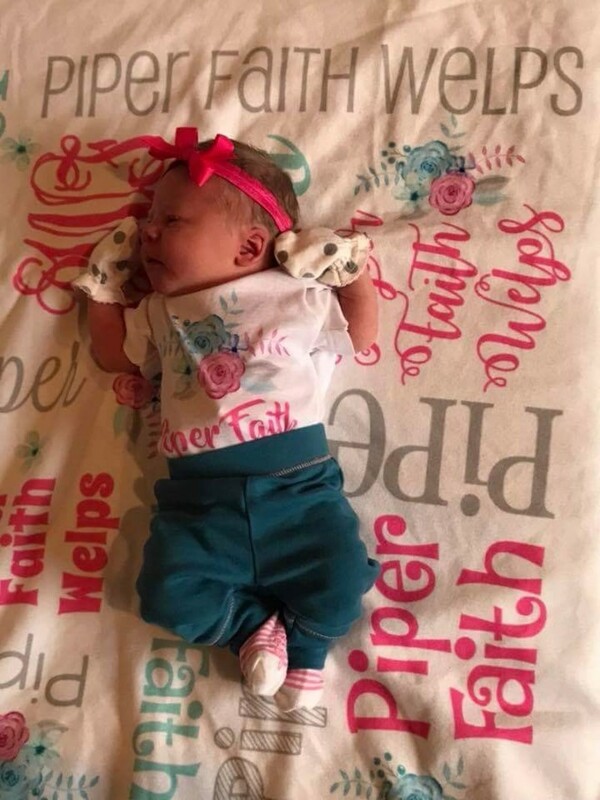 Along with her Daddy and Mommy (and Memaw), others will be there to witness of God’s great love so that she can run the race God has set before her. While Piper was our Valentine’s gift this year, God’s love gift to us came through Jesus Christ. Remember – “For God so loved the world that He gave His only begotten Son, that whoever believes in Him should not perish, but have eternal life.” (Jn. 3:16). Hold to Him and have a Happy Valentine’s Day!